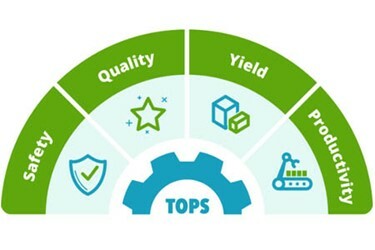 Alchemy’s Total Operational Performance System (TOPS) is a proven process that prioritizes safety, quality, yield, and productivity objectives to optimize the operations and profitability of your organization. This is accomplished while promoting a culture that includes commitment, behavior, service, and teamwork. Safety is the foundation that protects your employees, customers, business, and brand. We help develop, implement, and validate safety systems that set your company up for success. Line optimization can result in greater output without increasing input or head count. Alchemy’s consultants follow a repeatable process to maximize product yields.